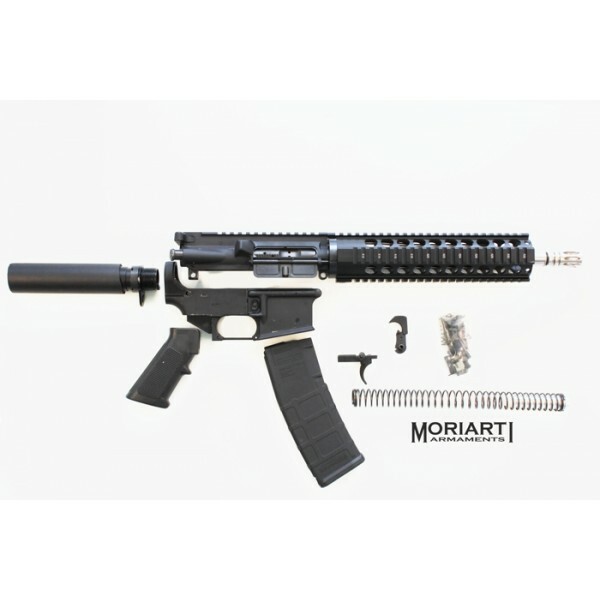 AR-15 5.56/.223 11.5" stainless steel modular railed pistol kit contains all components to complete your AR-15 Pistol. 80% Lower Receiver is NOT INCLUDED. Moriarti Armaments exclusive. 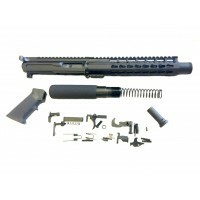 This AR-15 kit comes unassembled. It is not an FFL Item because some machining is required on 80% Lower Receiver. 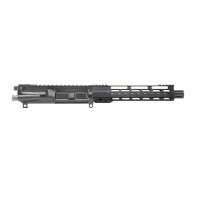 Keymod may have variations to look and feel, depending on stock availability, the same excellent quality.